Dear husband loves exploring antique stores and I’d just assume wander around outside. 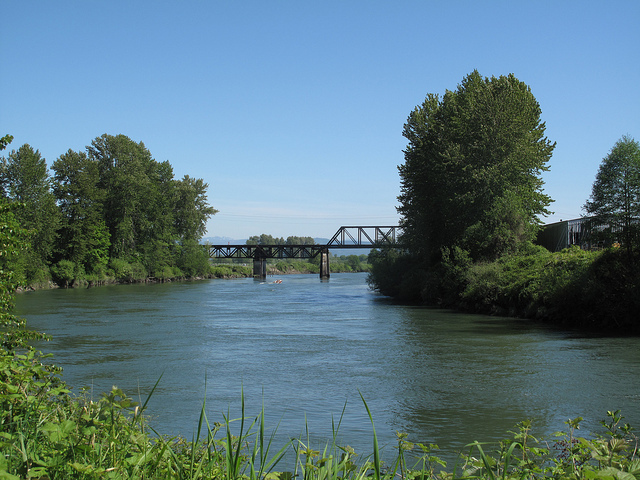 So when we went to downtown Snohomish, he went off to look at old things and I walked some of the Snohomish River Trail. 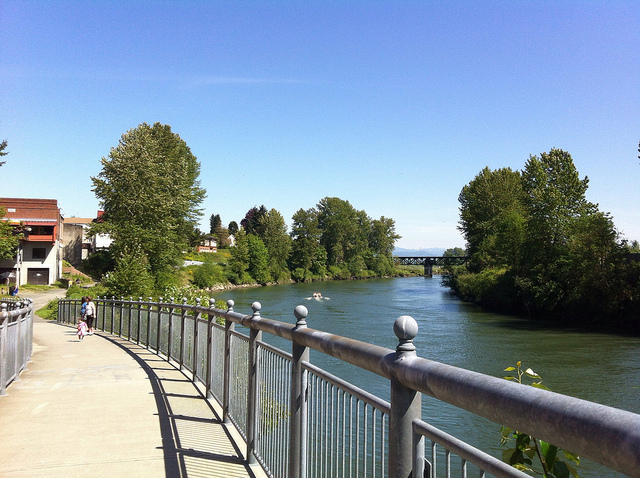 I started near the bridge and the entrance to town and walked a ways. What made me stop in my tracks was the line in the concrete wall that showed the flood line from 1995. 350′ of river bank collapsed during the flood. After that disaster, the city built the trail which at least on a beautiful Sunday was getting a lot of use. This entry was posted in Parks on May 15, 2012 by admin.